Warhammer 40000 is a board game that has been adapted to video games many times. All these adaptations of the Warhammer 40,000 universe have focused on strategy games, trying to simulate the universe at war in this franchise, but now Warhammer 40000: Armageddon reaches the Steam platform probably more exactly adaptation like the board game. A turn-based strategy game based on hexagons in which players will lead the forces of human empire, Steel Legion, or choose one of the chapters of the powerful Space Marines. Our armies will face the Ork invasion through 30 different levels. A great strategy game with lots of different adaptations for our armies. There are no comments yet about Warhammer 40000: Armageddon . You can be the first one! 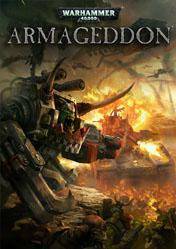 Warhammer 40,000 Armageddon, DA ORKS! worth the teeth?